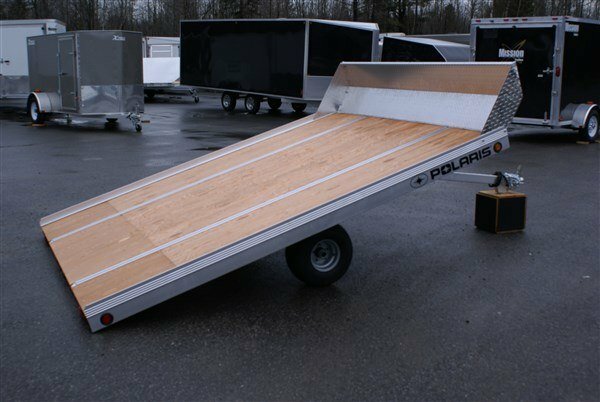 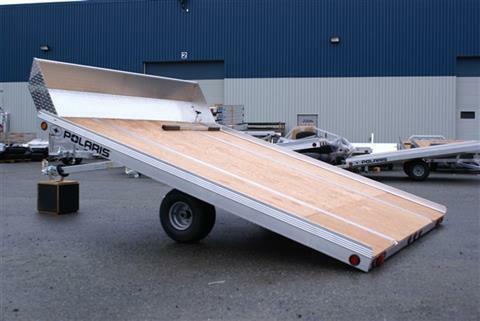 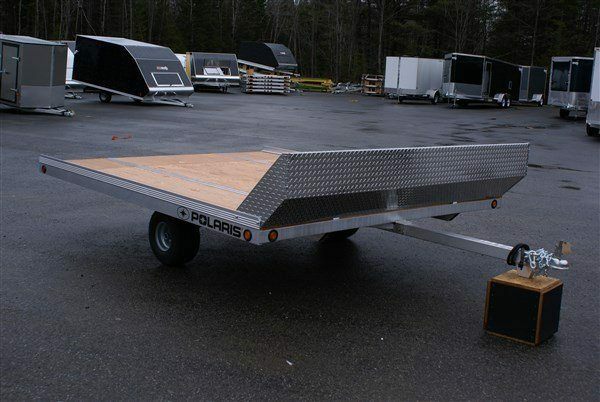 Polaris® All Aluminum Open [Tilt] Snowmobile Trailers offer quick and easy loading and unloading for your snowmobile sleds. 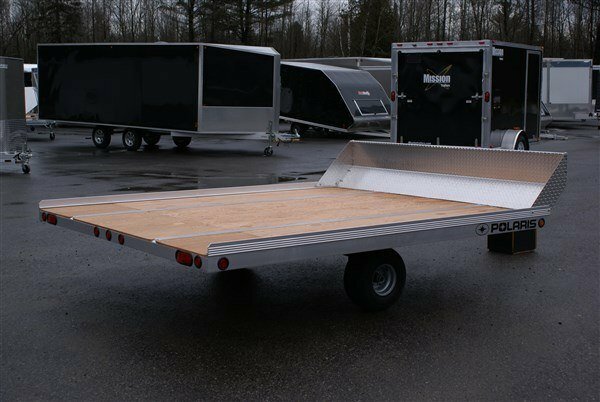 Our Open Snowmobile Trailers feature ½" Marine Tech Decking, 8" or 10" Powdered Coated Wheels, Full Length Slide Track Tie-Down System, and Recessed Rubber Mounted Lights. 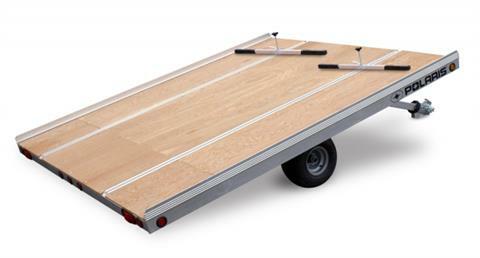 Our All Aluminum Open Snowmobile Trailers can be upgraded with various Options and Accessories to suit your needs.